This step by step woodworking project is about free 6×12 shed door plans. This is PART 3 of the small storage shed project, where I show you how to build the front doors. This door will ensure you an easy access to the interior of the storage shed. These doors are super easy to build so you can save time and money. Take accurate measurements and double check them before making the cuts. 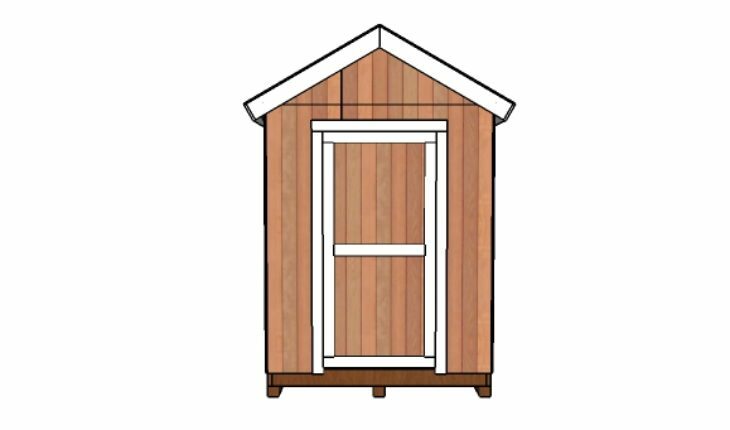 Take a look over all my SHED PLANS, as well. See my other DIY projects HERE. First of all, you need to attach the 2×4 jambs around the door opening. Align the edges with attention and then insert 2 1/2″ screws to lock the jambs into place tightly. Continue by building the door for the shed. Cut the panels from T1-11 siding and then attach the 2×4 trims. Align the edges flush and use 1 1/4″ screws or nails to assemble the doors. Fit the door into place. Align the edges and lock them into place with hinges. Install a latch so you can lock the double doors into place tightly. If you want to build the frame for this 6×12 garden barn shed, you should check out PART 1 of the project. 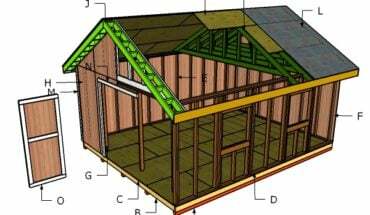 Check out PART 2 of the project, if you want to learn how to build the gable roof for the shed. If you like my project, don’t forget to SHARE it on Facebook and Pinterest. Thank you for reading our project about free 6×12 double shed door plans and I recommend you to check out the rest of the projects. Don’t forget to LIKE and SHARE our projects with your friends, by using the social media widgets. SUBSCRIBE to be the first that gets our latest projects.